Across the United States, citizens are living longer and healthier lives thanks to tremendous advances in medication, medical procedures, and treatments. The down side is that our bodies continue to age and deteriorate at one point or another, regardless. At Assisting Hands Home Care, we provide a variety of services to help individuals who are reaching this stage of their life. Whether it is through memory care, assistance with cooking and cleaning, or something similar, we are proud to be there for those in need in the Miami Gardens, FL, area. Establishing trust is a critically important factor to us. To start off on the right foot, we always guarantee that our caregivers are trained in a variety of senior care services. They also must be adept in CPR and first aid and show genuine compassion for those with whom they service. Before they can even work for us, they must have passed a background check, as well. These requirements have all been put in place to provide you with a security blanket in case the worst is ever to occur. To learn more about how we can help you, please feel free to give us a call at (305) 425-1835. We respond to emergency service requests within 48 hours of your call. Nobody chooses to get old; it is simply a part of life. Some handle this transition well, while others have a difficult time losing their independence. We understand this here at Assisting Hands Home Care and do everything possible to help you only as much as you need or want it. From part-time meal preparation to full-time live-in care, we will customize our approach to fit your needs. We offer these services to residents of Miami Gardens, FL. Many of us know a close family member or friend who struggles with activities around the home. At Assisting Hands Home Care, it is our goal to help these individuals through our elderly care services. Our caregivers are highly trained in everything from memory care and cooking services to general transportation. No matter your needs, we will address them. We are proud to offer these services to seniors in Miami Gardens, FL. We encourage residents of Miami Gardens, FL, to contact our Assisting Hands Home Care caregivers when they, or a loved one, begin to suffer from memory loss. Studies show that light physical activities, mental stimulation, and social interaction can all help to limit memory loss in those affected by Alzheimer’s disease and dementia. Through our memory care services, we do all of this, and help with medication reminders and day to day activities, as well. Individuals who are reaching the end of their life can count on our Assisting Hands Home Care caregivers to provide complete hospice care services for as long as they are needed. We take into account any special requests the affected individual has because we fully understand how difficult this time can be. We also help as much as needed with day to day activities. If you or a loved one are in need of these services, and live in the Miami Gardens, FL, area, then we encourage you to give us a call. At Assisting Hands Home Care, we provide complete post-operative care services to those in need in Miami Gardens, FL. This means that if you have gone through a surgery that limits your ability to drive or perform day to day tasks, then we will help you through your recovery. Our caregivers can pick up your medications, provide in-home services, take care of your paperwork, and assist with other duties. Disabled individuals and seniors can often use help when it comes to preparing for bed, getting into and out of bed, walking to the restroom at night, and similar tasks. For this reason, we provide comprehensive overnight care services here at Assisting Hands Home Care. No matter your level of need, our caregivers will remain alert throughout the night to assist you as necessary. In the case of emergencies, we will already be on-site to address the problem rapidly. We offer these services to residents of Miami Gardens, FL. It can be a difficult decision to utilize live-in care services; however, it is often a necessity for those that cannot perform daily tasks by themselves. At Assisting Hands Home Care, we provide these services to those in need in Miami Gardens, FL. Relationships are important to us, which is why we only assign caregivers that are genuinely interested in your well-being. We can assign one caregiver, or two alternating caregivers based on your unique needs. If you are like the nearly 65 million other Americans that provide informal senior care services for a loved one, then we encourage you to utilize our respite care services from time to time. Through these services, we can give you a much-needed break for as long as you need it. All of our Assisting Hands Home Care caregivers are highly trained in senior care services, CPR, and first aid, which means they can be trusted to assist your loved one. We are proud to help residents of Miami Gardens, FL. It is an unfortunate reality that some senior care service providers simply perform their duties and leave. This does little to help aging individuals on a psychological level and can lead to problems in the future. At Assisting Hands Home Care, we provide personal care and companion services to ensure that we get to know you throughout the caregiving process. We will help you with everyday tasks and participate in some of your favorite activities. We provide these services to seniors in Miami Gardens, FL. At Assisting Hands Home Care, we leverage our experience as a senior care services provider to develop a customized care plan for our clients. We accomplish this through our coordination of care services. We take advantage of programs (such as Medicare or VA pensions) that our clients qualify for, discuss what caregiving services they truly need, and will then provide these services. We offer this coordination of care to residents of Miami Gardens, FL. It can be a difficult and overwhelming time when you or a loved one needs to utilize in-home care services for the first time. In Miami Gardens, FL, there are multiple ways to go about this. You can hire an individual caregiver or work with an agency. We encourage you to work with an agency in order to leverage their greater resources. For example, a single caregiver may need to cancel at the last minute, which can leave you or your loved one in a precarious situation. At Assisting Hands Home Care, we would send a substitute caregiver in this situation. We also guarantee superb service thanks to our in-depth training programs that cover CPR, first aid, and a variety of senior care services. 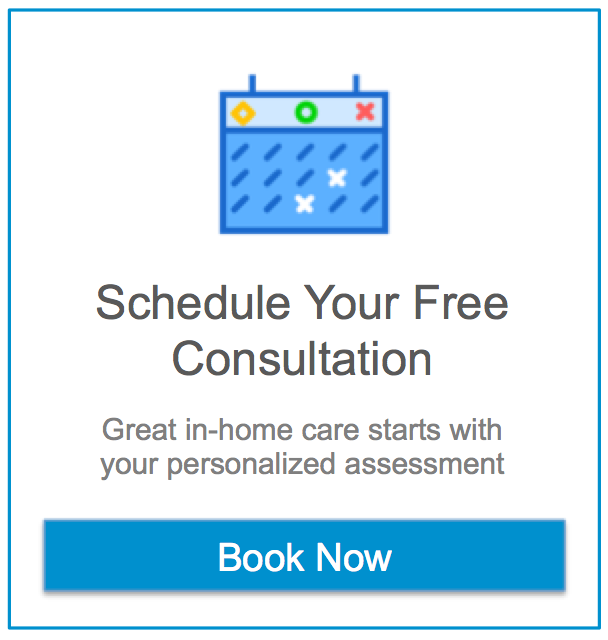 To inquire about any of the services listed above in Miami Gardens, FL, contact Assisting Hands Home Care at (305) 425-1835 and we will schedule a free consultation.